A successful facebook campaign by Suregrow has raised £600 to support the work of the Equine Grass Sickness Fund (EGSF) and helped to further raise awareness of this devastating disease. 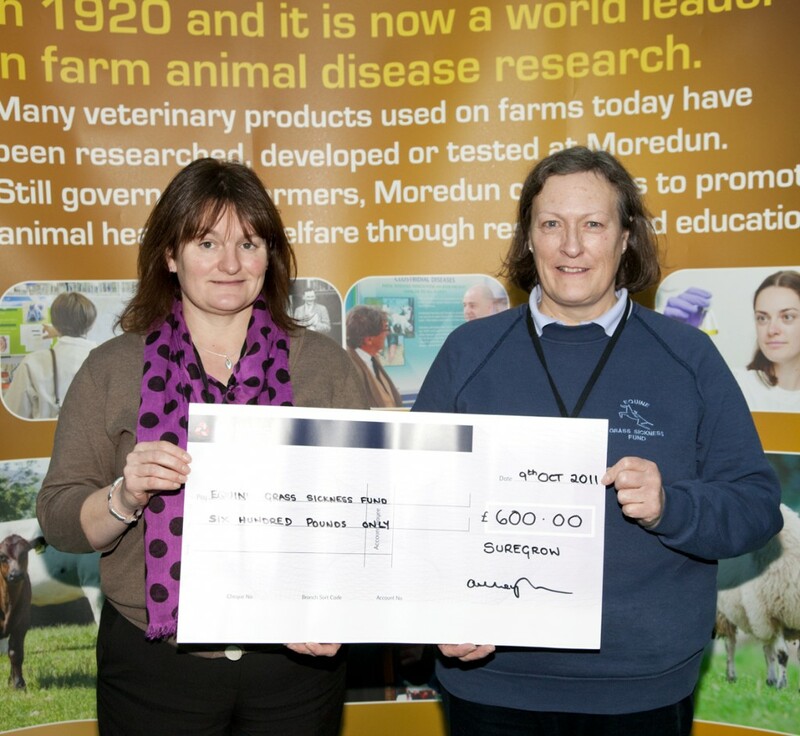 Accepting a cheque from Suregrow, EGSF administrator Kate Thomson said, “The Equine Grass Sickness Fund is delighted to receive this generous donation from Suregrow. We are the only registered charity in the UK raising funds specifically for research into grass sickness, and play a leading role in working towards identifying the cause and further improving the treatment of chronic cases. Recently, substantial progress has been made on the role of Clostridium butulinum, but there is still much work to be done.” Kate, pictured left, recently took over from Joyce McIntosh, right, who retired in December after over 20 years with the Fund. Suregrow is a unique fertiliser specially for horse and pony paddocks, containing a slower release form of nutrients proven in trials to produce more sustained, better quality grass growth over a longer period, and to facilitate uptake of nutrients essential to wellbeing.